Things didn’t go well for Florida Mayhem and Shanghai Dragons. Overwatch League’s Jan. 17 matches continued after Philadelphia Fusion and San Francisco Shock with three of the four teams that don’t have a single win fighting for a series point—Florida Mayhem, Houston Outlaws, and Shanghai Dragons. 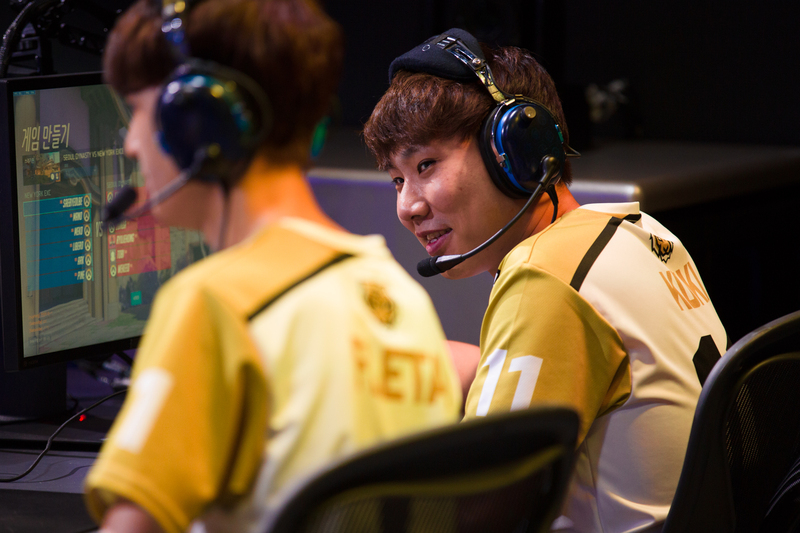 Unfortunately for Florida Mayhem, they were up against Overwatch League leaders, Seoul Dynasty. Houston Outlaws took on Shanghai Dragons, where they found their first win. On paper, there’s nothing wrong with either Shanghai or Florida. Both teams field individually skilled players, but neither team has figured out how to use those players to success. Florida really had no chance against Seoul, and the series score of 0-4 reflects that. Seoul played around with their composition, choosing mix-and-match players from their deep roster. Seoul played with the usual confidence and precision, despite pulling players off the bench—they didn’t go easy on Florida by any means. Seoul remains undefeated in the Overwatch League. Houston proved throughout their series against Shanghai that they certainly don’t belong at the bottom of the Overwatch League rankings, despite losing their two week one matches against Philadelphia Fusion and New York Excelsior. Shanghai struggled to keep up with OpTic Gaming’s Overwatch League team. It’s clear they haven’t figured out how to fix the problems that plagued their matches. As with the Seoul vs. Florida match, Houston vs. Shanghai ended in a 4-0. Whether it was Junkertown—which was entirely uncontested by Shanghai—Horizon Lunar Colony, or Numbani, Houston dominated the match points. Shanghai didn’t challenge Houston’s frontline, which let Houston’s DPS players make huge, game-ending plays. It’s exactly the momentum the team will need heading into their match against Dallas Fuel on Jan. 19. Dallas is one of the (now) three teams yet to score a series win in the Overwatch League. Like Houston, Dallas isn’t expected to stay at the bottom of the standings for very long. Dallas, once called Team Envy, is considered one of the strongest teams, and all their earlier matches—against Seoul and Los Angeles Valiant—were very competitive. It’s still early in the Overwatch League’s first stage, and there’s room for a lot of movement across the standings board. That doesn’t mean these early matches don’t matter, though. They do. Creating momentum early on in the league will give players the confidence needed to sustain high-level play, especially for those players who haven’t played on such a big stage before. Both Florida and Shanghai have space to improve, but it’s clear that Shanghai has the most work to do. Overwatch League continues Jan. 18 with Dallas vs. Houston at 5pm ET, New York Excelsior vs. Los Angeles Valiant at 7pm ET, and Philadelphia Fusion vs. Los Angeles Gladiators at 9pm ET.